Add a contemporary and classic look to your living space with this unique wrought iron end table. You can easily alter the decor of your space by altering the position and angle of the table. 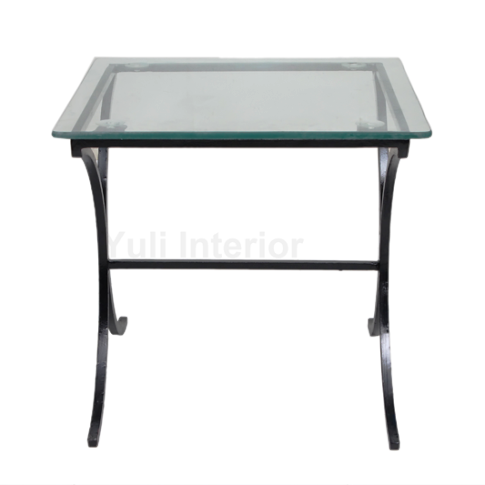 The Glass top can be changed to another material if you desire a totally new look. Top Material: Glass (24"squ: 10mm diameter). Hold: Four Rubber Suction Fittings. Available in different colour finish. @YuliInterior,Nigeria.Terms & Condition All Rights Reserved. Powered by Blogger.